SILICON VILLAGE: Is Cloud Computing Holding Back India’s Businesses? 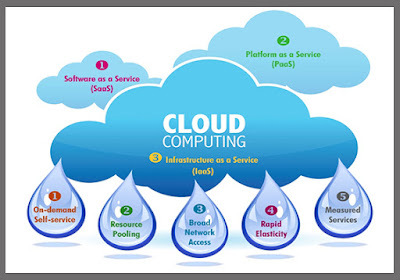 Is Cloud Computing Holding Back India’s Businesses? Nutanix, a leader in enterprise cloud computing, is questioning whether the promise of public cloud may be confusing India’s enterprises and hindering their growth, rather than helping it. Nutanix is challenging conventional cloud thinking by outlining how organizations can redefine their business and business models by taking back control of their cloud environment, rather than simply adding to it. Modern organizations are rapidly embracing multiple cloud services and providers, attracted by the prospect of simplifying operations, improving efficiencies, driving speed and flexibility, and liberating themselves from expensive on-premise vendor solutions. But is this race to the cloud actually holding back India’s businesses? Enterprises often end up replacing one vendor with another or opting for alternating systems to provide redundancy and business resiliency. This can end up trapping them in exactly the same inflexible, costly and complex infrastructure environment they were looking to escape. So, what is the solution? Nutanix suggests that better management and visibility into cloud operations holds the key to realising all the promises of cloud. It’s a timely solution and comes at a time when enterprises are seeing an explosion in IoT and other connected devices which is driving an increase in cloud deployments designed to intelligently manage these devices at the “edge”. Ensuring consistent performance and governance whenever and wherever, from the datacentre to the edge, becomes critical to future business success. Nutanix’s Enterprise OS mitigates the risk and restrictions of public cloud lock-in by allowing customers to move data and workloads securely and seamlessly between public and private clouds with full and immediate visibility of costs. It also provides a single point of control for managing infrastructure and applications in any cloud, from datacentre to the edge, and delivers multi-cloud governance via new SaaS offerings. The company has been growing rapidly in India as the hyperconverged market become mainstream.